Introducing TDR Auto Plaza's newest benefit of why your next vehicle purchase should be here. 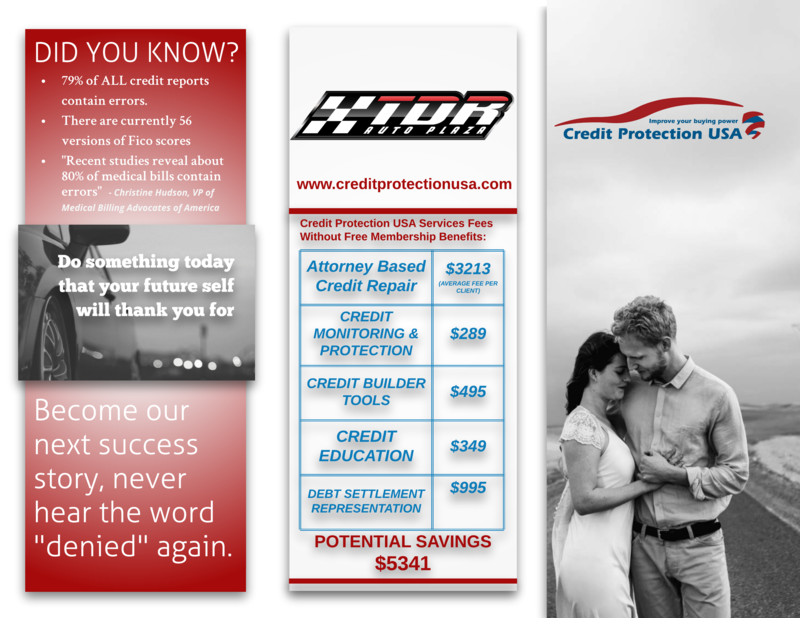 Every vehicle purchase will now come with a Free Attorney Based Credit Repair Membership. We partnered up with Kansas City's leading credit repair law firm Credit Law Center, and want to provide even more value to our customers that choose us to do business with. Credit Law Center is locally owned right here in the Kansas City Metropolitan area. Since 2007 they have repaired over 30,000 credit reports and now you can have them work for you! "CPU" is the ultimate membership to your financial freedom. 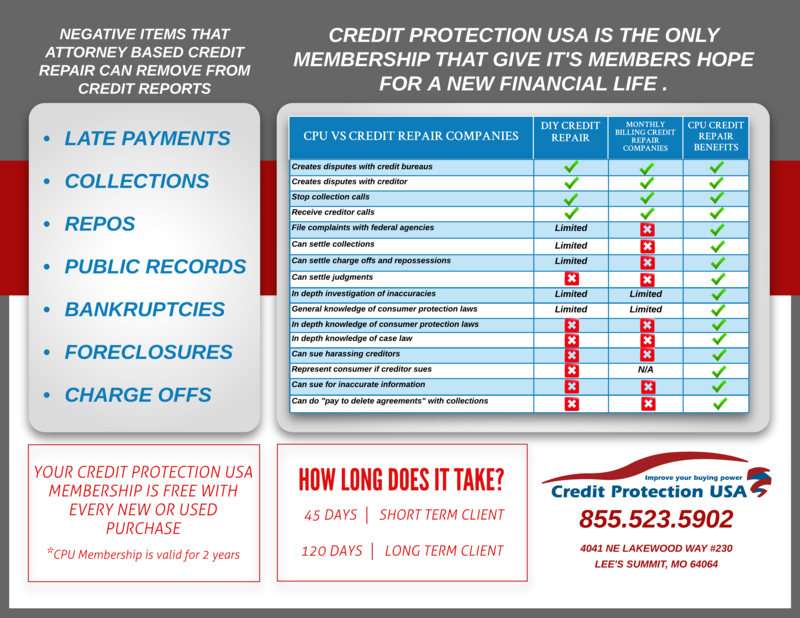 Membership benefits include attorney based credit repair, credit monitoring & protection, credit builder tools, credit repair education, and can help stop harassing debt collectors. Check out more membership features and benefits below. CPU vs "Other Credit Repair Companies"
If you have tried it yourself or are already using another "credit repair" company, see below and find out why buying a car from TDR Auto Plaza could change everything.